Freelance photographer Megan McIsaac documents her daily life in the musically thriving Portland, Oregon. McIsaac creates a dreamy, intimate and slightly melancholic depiction of a young female living in America. She is an avid photographer for Montreal-based charity The Yellow Bird project. With her work published in magazines such as NYLON, Antler Magazine and Filter-Mag, she has a large body of work in black and white and a seemingly spontaneous approach to taking photographs, where you can’t help but feeling nostalgic over the photographs. 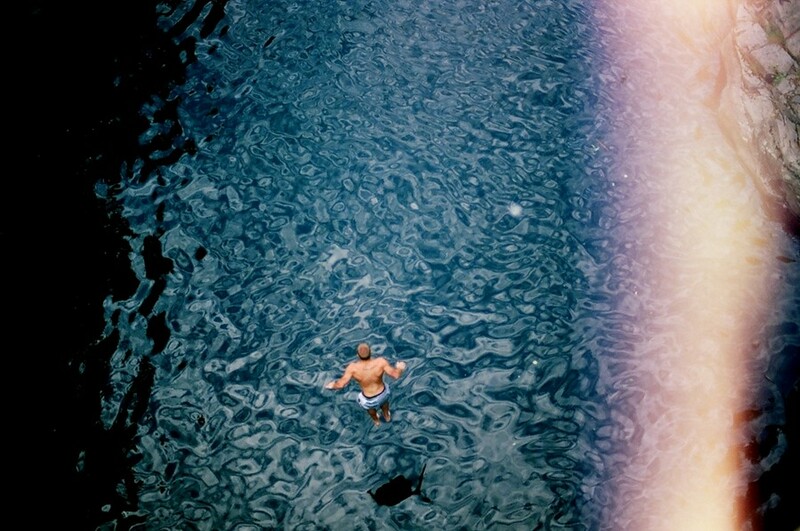 We caught up with the young photographer to delve a little deeper into the world of her images. DD: Where are you from/based? Megan McIsaac: I was born and raised in metro-Detroit, Michigan but have been living in Portland, Oregon for the past two years. DD: How did you get into photography? Megan McIsaac: My grandfather, who's also a photographer, bought me a polaroid for christmas when i was seven alongside a childhood subscription to national geographic and countless cardboard boxes filled to the top with family snapshots, slides, and negatives. DD: What are you trying to communicate through your photographs? Megan McIsaac: i think the objective for sharing my photographs, why i need to communicate through them, is cyclical and goes through phases. more than ever, i am intimately inspired by the early-mid nineteen hundreds, and my life correlates with the darker, quieter, but confident perspective, which is what i am trying to communicate through this current phase of my photographs. DD: What camera/film do you prefer to shoot with and why? Megan McIsaac: At the moment the only camera i own is my Mamiya c330, after having multiple cameras break on me earlier this year. I'm going to stick with my Mamiya until i find another camera that inspires me. as far as film, when I'm not shooting the various free (most often expired) film that people graciously donate to me, i tend to stick with Kodak Portra for colour or Ilford for black and white, though I've been in yet another black and white phase for a year or so now. DD: whose work do you most admire and why? DD: how would you describe your work in five words? Megan McIssac: "A series of serendipitous moments." I still think that I'm just lucky. DD: what does the future hold? Megan McIsaac: "The dark side clouds everything. impossible to see the future is."